Nintendo’s eShop for its 3DS has been on a roll lately. Starting in late October with the launch of the user generated content centered FreakyForms, Nintendo has unleashed a wave of original content every week upon the eShop that is almost always compelling, and, copnsidering the prices it is offered at, too good to pass up on. Games like VVVVV, Mutant Mudds, Mighty Switch Force, and of course, what is possibly one of the best handheld games released last year, Pushmo, all releasing at a steady rate, all high quality, all priced very reasonably, go on to demonstrate that Nintendo learned from the failures of the DSiWare and WiiWare ventures. Add up another high quality game to that list, folks. 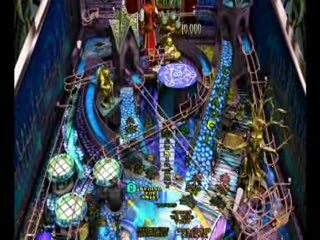 Zen Pinball 3D offers an addictive, high quality pinball experience on the go, and it is surprisingly well made with top of the line production values, online leaderboards, and a great use of the system’s stereoscopic 3D effect. It’s not exactly the most full featured game- only four courses are offered to begin with- but at the price that it is offered, it’s really hard to complain. Zen Pinball 3D offers the player four themed courses to play pinball in. Four tables are offered to begin with, with some of the more crazy ones, like Excalibur and Shaman, really challenging the player. It is easy to just start up Zen Pinball as a novelty, only to look up half an hour later and realize you’ve been playing the game furiously for all this time, trying to get to the next score milestone. This crazy race to the top is fueled not only by the scores that the game keeps flashing on your bottom screen as your next ‘milestones,’ but also by the fact that full featured leaderboards are included in the game, which you can filter by table, region, and down to just your friends. The controls are well thought out, and are pretty much what you’d expect, although the game’s usage of the analog slider to rock the table often threw me off entirely. However, you really won’t be minding the controls at all, nor will you mind the game’s elaborate graphics, and its expertsound design. 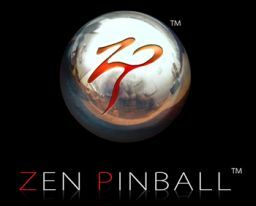 As far as the core design is concerned, Zen Pinball is pretty much by the numbers, and if you’ve played this game on your PS3 or iOS device already, you’ll know what to expect. Some things that might annoy you, however, would eb the dirge of content. Again, only four courses are offered, and when you realize that this is because more tables will be offered as paid DLC later- the developers have said as much themselves- then this does seem like one of the worse cases of DLC exploitation. However, you then realize just how well made the courses really are, and you can probably bring yourself to live with it. Another problem with Zen Pinball 3D is the loading times. It is incomprehensible and inexcusable that the game has loading screens for as long as it does, especially when you consider that this is a game made for a handheld system, where the idea is often to boot up a game, play a couple of minutes, and then just put the system back on standby, at very short notice. If thefirst twenty, thirty seconds of that time are spent on the loading screen, then you’ve just lost a very substantial amount of that time period. I know I’ve mostly listed the negative things in this review, but that’s because what Zen Pinball 3D does well, it does well. 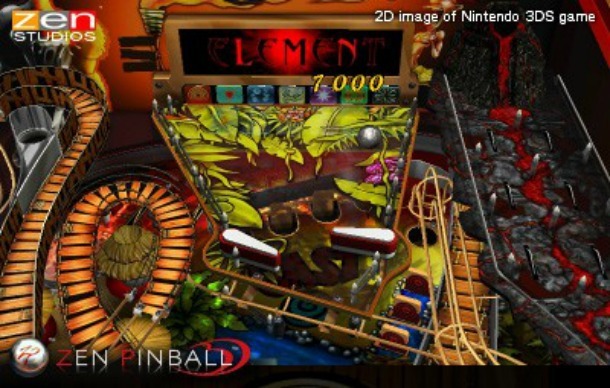 There’s really no point or use listing that stuff out- it’s a high quality, albeit by the numbers, pinball game with some flaws that hold it back. If you fancy giving your 3DS some more downloadable action, just get this game. At its asking price, its a great deal. 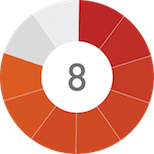 The loading times might annoy you, but they’re really the only design decision that really affects how you play. The eShop’s good game streak, then, continues. 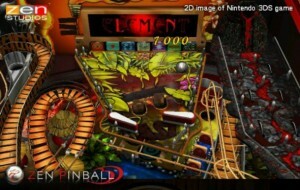 Zen Pinball 3D is a well made game that continues the eShop's streak of great content at great prices.